The Jewish concept of “Yirat Hashem,” Fear of God, is not meant to serve as a threat to force people to obey the Torah. If that were the case, Reish Lakish, a third century sage, would not refer to it as a “treasure” (Shabbat 31a). Serving God out of fear of punishment or fear of losing one’s reward is actually a rather primitive form of devotion (although valid). This fundamental type of fear of God, cannot explain why in Judaism fear of God is often viewed as a path to knowledge. Learning to sincerely fear God is not easy, but it is attainable. As the sages say: “Everything is in the hands of Heaven except for fear of Heaven” (Berachot 33b). When something good happens, thank God by thinking about the multiple manipulations that had to happen for it to come about. September looms and children all over have either just begun school or will be starting shortly. Judaism has always been a culture focused on learning. The Torah commands parents to teach their children, but since many parents are not capable of fulfilling the role of teacher, schools have become a necessity. Baba Batra 21a discuss extensively our Sages’ views on education. Local schools are important. The Sages even discuss whether a child may be forced by circumstances to go from one town to another to receive a proper education.--“Joshua ben Gamala came and ordained that teachers of young children should be appointed in each district and each town.” Thus was established in the first century C.E., the first edict requiring compulsory education for any child over 5 years of age. Invite friends over to enjoy a Shabbat meal together. Always treat a convert with respect. In the late 16th century, Rabbi Yehuda ben Betzalel Loew (a.k.a. the Maharal, 1520 - 1609), the chief rabbi of Prague, created a man-like creature from river clay. He brought the creature to life by using kabbalistic secrets (ineffable name of God, the use of the word emet--truth, etc.) that he had learned from Sefer Yetzirah (Book of Creation). Heeding the instructions of the Maharal, the Golem, silent but strong, protected the Jewish residents of the Prague ghetto. Some legends say that eventually the Golem grew violent. Others maintain that he was disappointed in love. Whatever the reason, it became necessary for the Maharal to undo the creature’s animation and return him to a shaped lump of clay. According to legend, the body was then secreted away in the Altneuschul’s attic. Did the Golem really exist? Many deny the veracity of the story. Others credit the Maharal’s disciple Rabbi Eliyahu Shem Tov with the creation of a Golem ... the truth may never be known. Read articles about the wonders of modern science and then ponder the greatness of God’s creations. Rabbi Jochanan (as quoted by Rabbi Kruspedai) clarified that on the New Year there is a book for the completely wicked, a book for the completely righteous and a book for those in the middle. According to Rabbi Avin, the existence of these books is alluded to in Psalms 69:29: “Let them be blotted out of the book of the living, and not be written with the righteous.” According to Rabbi Nahman ben Isaac, Moses actually refers to it in Exodus 32:32: “...blot me, I pray You, out of Your book which You have written” (Rosh Hashana 16b). Both of the proof-texts brought in the Talmud appear to refer only to a Book of the Righteous. Since tradition has it that the world is balanced between extremes (prophecy was balanced by idolatry, Moses was balanced by Balaam), a Book of the Wicked must also exist. This, of course, leaves a gap for those who are neither completely righteous nor completely wicked...in other words, the majority of humanity. Thus it could only be assumed that there was a third book. Jewish Treats wishes all of its readers l’shana tova tikatayhu v’taychatayvu (that’s the plural form). Send a New Year’s card to a friend to whom you haven’t spoken in a few years. Senior Citizen Day, an annual event observed on August 21st, is a day meant to both honor older citizens and to remind the government that seniors are a large and powerful constituency. In Judaism, honoring senior citizens is both a natural part of the cultural philosophy and, in truth, part of Jewish law. “You shall rise up before the hoary [aged] head and honor the face of the old man...”(Leviticus 19:32). The Hebrew term for “old man” is zakein, which, according to the Talmud, refers to a sage, someone of great wisdom (as the 70 elders of Israel were called). The honor due a zakein is understandable, but what does the Torah mean by “You shall rise up before the hoary head”? Issi ben Judah said: [The verse] implies any hoary head. Rabbi Jochanan said: The halacha is according to Issi ben Judah. Rabbi Jochanan used to rise [even] before aged heathens, saying: How many troubles have passed over these! Raba would not rise up, yet he showed them respect. Abaye used to give his hand to the aged. Raba sent his messengers. Rabbi Nahman sent his guardsmen...(Kiddushin 33a). In the twenty-first century, with people leading extraordinarily active lives well into their golden years, it may be difficult to determine who deserves respect. It is best, therefore, to maintain the tradition that one is considered to be of “the age of wisdom” at 70. Dedicate an hour each week to spending time with an elderly relative or friend. Reincarnation is a word that to most Jews screams of foreign cultures. What is not common knowledge, however, is that the reincarnation of souls is a concept found in Judaism (although not mainstream) known as gilgul. Gilgul is not mentioned in the Torah, nor is it a focus of the sages of the Talmud. In fact, the concept of gilgul only became a topic of study in Medieval times. It was discussed by scholars such as Saadia Gaon (882-942) (who rejected the idea) and Nachmanides (1194-1270) (who accepted it). It was the kabbalists of Safed, however, who delved into the depths of the idea of reincarnation. The teachings of the Arizal (1534 -1572) were published by his disciple, Rabbi Chaim Vital (1543-1620), in the book Shaar Hagilgulim. These teachings then gained prominence in the early Chassidic movement. Be kind to people with special needs. Rachel had Jacob’s heart, Leah had his children. For four long years, Rachel watched her sister give birth to son after son until she could bear it no longer. Frustrated but determined, Rachel recalled the actions of her husband’s grandmother, Sarah, and gave her handmaid, Bilhah, to be Jacob’s wife. Any children resulting from the union of Jacob and Bilhah would be raised as if they were Rachel’s children. Thus, when Bilhah bore her first son, it was Rachel who named him Dan, saying: "God has judged me. He has also heard my voice and has given me a son" (Dan is from the root of the word “to judge”). According to tradition, the second half of this blessing is a direct reference to Dan’s most prominent descendant, Samson (he of the long hair, incredible strength and unfaithful lover--Delilah). Dan had only one child, a son named Chushim. In the Talmud (Sotah 11a) we are taught that it was Chushim who cut off the head of Esau when Esau tried to stop Jacob's burial in the Cave of the Patriarchs in Hebron. This story demonstrate's Dan’s son’s instinct for justice. Chushim was able to assess the just solution for this situation without being swayed by Esau’s fallacious arguments. Judge others fairly and always give them the benefit of the doubt. Psalm 27 is read twice daily from the beginning of the month of Elul through the holiday of Sukkot in order to help each Jew develop the beautiful relationship that one can have with the Divine. This Treat was originally sent on Tuesday, August 25, 2009. Set aside five minutes each morning to recite Psalm 27. While Jews suffered greatly as societal outsiders in many of the lands in which they lived throughout history, sometimes there were beneficial perks--such as a moderate level of communal autonomy. This was specifically the case in Poland (and Lithuania) from the end of the 16th through most of the 18th century. The Council of the Four Lands (Vaad Arba Aratzot), as the Jewish governing body came to be known, convened for the first time in 1580 at the Lublin fair (which became one of its chief meeting places, in addition to the fair at Yaroslav). Representatives from each of the major communities attended, as well as scribes, tax collectors, bailiffs, and government lobbyists (shtadlanim). In 1623, the Lithuanian Jewish community broke off and created its own council. Council records indicate that no area of Jewish life went untouched or unexplored. In the economic realm, the Council dealt with taxes, residence and work rights, trade restrictions, promissory notes, bankruptcies, etc. It pushed larger communities to underwrite the cost of providing education for the poor, the cost of maintaining yeshivot and took a strong stand against luxurious living by issuing directives to tone-down family celebrations and ostentatious dress. Another significant item on their agenda was the division of the financial burden created by blood libels, "Host" (special church wafer) desecration libels and the nefarious activities of false proselytes. As the libeled community was often incapable of meeting the onerous fines that were levied as penalties, the council divided the expenses among the various communities of the particular community. The Council of the Four Lands continued to exist officially until it was dissolved by the Sejm (Parliament) and the Polish King on July 17, 1764. Unofficially, the provincial councils and even the Councils of the Lands continued to meet until the First Partition of Poland in 1772. Get involved with your community’s government by finding out if there is a neighborhood committee or a town council. Historically, women (and children) have been the hardest hit victims of war. Beyond the killing, looting and pillaging that, until modern times (and some would argue that things are not much different today), were the normal “rights” of a conquering army, every woman in a conquered town was at risk of being raped or carried off as a captive. Romantic stories of wartime love abound, but what happens when the powerful emotions of wartime collide with real life? The rules of war in the Torah are meant to protect the Children of Israel, the soldiers and innocent victims of war. In Deuteronomy 21 (10-14), the Torah deals with the “unromantic” romance of war. If a Jewish soldier sees a captive woman and takes a romantic interest in her, the Torah forces him to get to know the “real” her. She moves into his home, removes her war clothes, shaves her head and cuts her nails and, for an entire month, “bewails her father and mother.” If after a month, he still desires to marry her, he may. If, however, he is no longer interested in pursuing her, he must let her go free. The sages were realistic and quite blunt in their understanding of this law, stating that “the Torah was providing license for human passions...” (Kiddushin 21b). At the same time, however, they recognized the importance of the rule of law by stating definitively that “‘...then you shall bring her home’ (Deuteronomy 21:13) teaching that he must not molest her on the field of battle” (Kiddushin 22a). Many of the commentaries speculate that enemy women would dress suggestively in war in order to save their lives. Seeing the beautiful captive woman, now shorn of her hair, without her flowing gowns or long nails and in a state of emotional distress for an entire month, would quickly dissipate any passion the Jewish soldier ever had for the woman. Donate spare school supplies to children in need. In Tractate Pesachim 107a, beer lovers can find an interesting discussion about the use of beer for kiddush or havdalah. “Rabbi Hisda asked Rabbi Huna: Is it permitted to recite kiddush over [date] beer? [Rabbi Huna replied] In as much as I asked Rav, and Rav asked Rabbi Hiyya, and Rabbi Hiyya asked Rabbi [Judah the Prince] about pirzuma (barley beer), ta’ainy (fig beer) and asne (a fruit beer) and he could not resolve it for him, can there be a [different] question about [date] beer?” Now it was assumed from this: kiddush may not be recited over it, however it is possible that we may recite havdalah over it. While it’s interesting to read what the sages thought about beer, the halacha is that while wine is prefered, beer may be used for the Shabbat lunch kiddush and for havdalah. 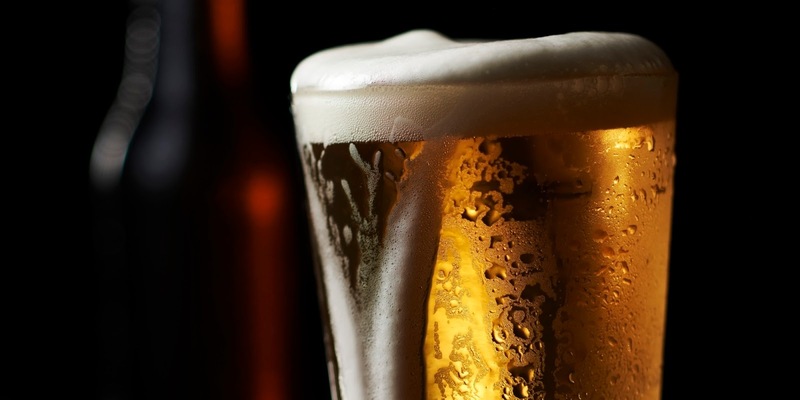 Beer may not, however, replace wine on Friday night (in the absence of wine/grape juice, the kiddush blessing should be recited over the challah). Visit or call a friend who is under the weather. The great symbol of Rosh Hashana is, of course, the shofar. When the shofar is sounded in the synagogue, it is meant to serve as an alarm clock that awakens our souls and reminds us of the awesomeness of the day. Knowing well the nature of people, our sages realized that what we really needed was an alarm clock with a “snooze” function. Yes, “snooze,” that wonderful button that tells us that we must get up very, very soon, but not just yet. The snooze button reflects the recognition that people naturally desire to continue sleeping and not get up at what feels like the crack of dawn. The rabbis therefore instituted the blowing of the shofar every morning during the month of Elul, the month preceding Rosh Hashana. Every morning, during the synagogue services, the shofar is sounded in the synagogue, allowing us to push the “snooze” button, and reminding us that the real alarm, the Rosh Hashana alarm to which we must truly respond is soon at hand. During the month of Elul, add some extra Jewish time to your schedule (join a class, read some Jewish books, etc.). Most people can understand the layout and basic measurements of a building from its blueprint. But it takes an expert--an architect or an engineer--to use those blueprints to build a house. The Torah is frequently referred to as the blueprint for life. The Torah can be read and understood by all people. But the more one studies, the more expert one becomes in understanding the intricacies of the Torah’s guidelines. Torah experts are the rabbis and judges about whom God commands the Jewish people: “And you shall come to the Levite-priests and to the judge who will be in those days, and you shall inquire, and they will tell you the words of the judgment...According to the law they instruct you and according to the judgment they say to you, you shall do” (Deuteronomy 17:9,11). We all know people who insist that they don’t need help with directions, even when dealing with complicated issues that are far from their fields of expertise. God recognized this aspect of human nature and, therefore, gave His people implicit instructions to seek advice from those who truly know Torah law. The sages, however, noted that the law limits the judges to those “who will be in those days.” Of course one would seek judgment from a living judge... “Can we possibly imagine that a man should go to a judge who is not in his days? This shows that you must respect the judges who serve in your time." [Even if they would seem to be inferior to the judges of previous times.] (Rosh Hashana 25b). Rosh Chodesh Elul begins tonight. Celebrate with a special meal. It is highly unlikely that Moses, Hillel even Maimonides (all experts on Jewish law) ever worried about what to write on a child’s birthday cake. Avoid birthday candles on Shabbat birthday cakes. Sing Jewish lullabies to your children/grandchildren/nieces or nephews. All the boxes have been packed. The moving trucks are waiting outside, loaded and ready to go. The house is empty. Only the mezuzot remain on the doorposts. Wait. Before you pull out that screwdriver to remove them, you may need to find out to whom those mezuzot really belong. The Talmud in Bava Metzia (102a) states: "Our Rabbis taught: If one rents a house to his neighbor, the tenant must provide a mezuzah. But when the tenant leaves the house, the tenant must not take the mezuzah, unless it was leased from a non-Jew, in which case, the mezuzah should be removed when the tenant leaves." The most important factor, obviously, is who will be moving into the house. This information is easy to determine if the house that is being sold is yours, because there is usually direct interaction with the buyer. When one is renting an apartment, however, it is often much harder to obtain this information. If the apartment has not yet been leased to new tenants, and there is a chance that the mezuzot will be defaced, then the mezuzot may be removed. c) they agree to financially reimburse you for the market value of the mezuzot. If the incoming tenant/owner agrees to none of the above, or any other questions arise, a rabbi should be consulted. A mezuzah makes a lovely gift for a friend moving into a new home. The sages use this verse to discuss how to “finesse” this mitzvah with someone who does not want to benefit from the charity of others. “The Sages said: It is given to him as a gift and then it is granted to him as a loan. As a gift? He, surely, refuses to take [gifts]! Raba replied: It is offered to him in the first instance as a gift [then, when he refuses the gift, as a loan].” (Ketubot 67b). While this seems simple enough, the sages delve into the double language “lend, you shall lend him.” The first “lend” refers to money given to a person who has no means to earn money but does not want charity. Such a one is to be told “Bring a pledge and you will receive [a loan]--in order to raise his spirit” (Ketubot 67b). That loan, however, should be considered in the mind of its administrators as a gift (since it will probably never be repaid). This day in history: 501 C.E., the coastal city of Acco (Israel) was destroyed in an earthquake. One of the blessings recited every morning is: “Blessed are You, Lord our God, King of the Universe, who spreads the earth above the waters.” This blessing expresses our gratitude to God for making the ground beneath our feet firm. Unfortunately, as we all know only too well, the earth is not always firm! The sages of the Talmud teach us that upon witnessing “shooting stars, earthquakes, thunderclaps, storms and lightning, one should say, Blessed be He whose strength and might fill the world” (Berachot 54a). Rabbi Kattina is apparently suggesting that an earthquake is a sign of God’s displeasure with humankind’s actions that is directed through the relatively limited destructiveness of an earthquake compared to punishing all of humanity. It is impossible for mortals to fully comprehend the issue of Divine theodicy. It is, however, the responsibility of each of us to react to tragedies with love and compassion, and to help where we can. We must, of course, also examine our own behaviors to see how we can make the world a better place. If you live in an area that is in danger of natural disasters, find out in advance how you can assist elderly or invalid neighbors in times of crisis.